This is the first major step Google has taken with fiber optics since announcing its plan to introduce fiber Internet trials early last year. After testing on its own territory, Google is now ready to expand, and nearly 1,000 of the university area homes will be included in the first round of beta testing (which should break ground shortly after the New Year). But this doesn’t mean other communities that have been campaigning for the coveted title of Google fiber testers should lose hope. The company reassures that it is still looking into additional locations for trial runs (so relax, Topeka) – and that decisions will be made around the end of the year. So why Stanford first? It’s a pretty natural fit. The Mountain View, California headquarters are less than 20 minutes away (according to Google Maps!) and the southeast end of campus was more than willing to let Google tear it up for experimentation purposes. 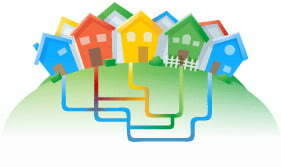 Keep an eye on the Google Fiber for Communities site for sure-to-come updates on their progress.